Head over to the Catch the Bug blog to see what the rest of the DT wants to show you. You're bound to find some new favorites. Awesome work with the colors. And I just love the sentiment that goes with the design. Well done! Fab funky card. Thanks for joining in this week at Papertake Weekly. 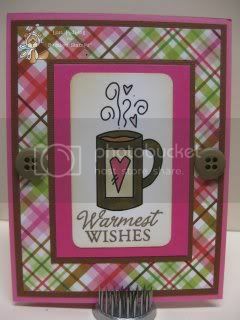 very nice card...so bold and classy! hope i can make like this one too.